One of my favorite games growing up was The Incredible Machine. While the IP has been sadly dragged through the mud in recent years, it was once a work of art, tricking kids everywhere into partaking in what was essentially edutainment. The concept was clear — simply get an object to its goal while using any number of over-the-top machines. They were Rube Goldberg machines through and through, and taxed your brain just as often as they put a smile on your face. The Sequence ($1.99) is a bit more muted, but it’s the same principle. You won’t find any difficult to use controls here. 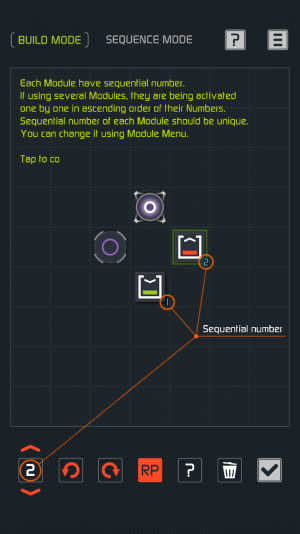 Instead, Sequence merely requires players to grab items, place them on a grid, and hit a “play" button. The course will then activate based on the objects you placed accordingly. In other words, it’s a very methodical game that allows you to use some form of trial and error alongside of your critical thinking skills without feeling too stressful. For instance, placing a “grab" cube will allow said object to pull in a target, and a “pusher" cube will…well…push it another square. 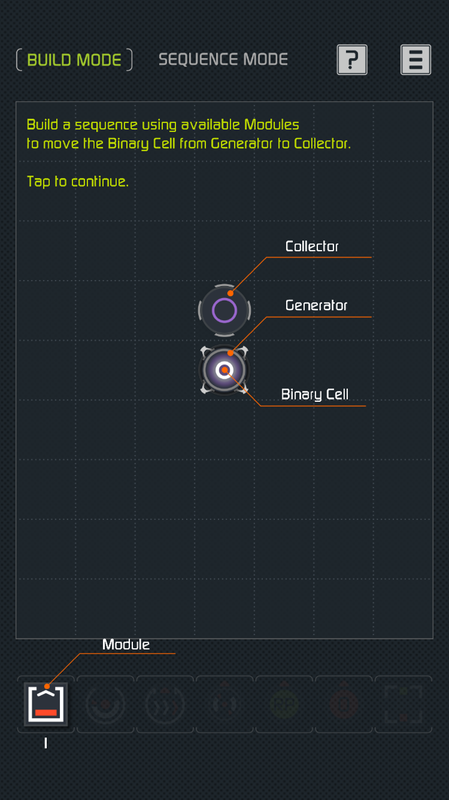 After the first few stages you’ll quickly learn that Sequence requires a lot of forethought, and soon you’ll be crafting giant machines with advanced concepts like teleportation in no time. The best part of Sequence is that the design is spot-on for puzzle fanatics and casual fans alike. The difficulty is gradual in nature, so you won’t find yourself completely overwhelmed with multiple concepts at once. Instead, you’ll learn each mechanic one by one, until you’re ready to piece them together at your own pace. If you’re truly stumped and feel like you need to start over, a menu option will have you back to the drawing board in seconds. if you need a refresher on certain items, there’s a tutorial available at all times — which really comes in handy, as it eliminates the need to replay levels. I noticed that around level 20, Sequence really shows you what it’s made of. I’m not exactly a puzzle savant, but I do play them quite a bit, and I was constantly scratching my head. Part of why it’s so mesmerizing is the aesthetic and soundtrack, which follow a sort of chill space vibe — and I have to say, the game really commits to it. There’s also no IAP or ads to navigate once you’ve crossed the $0.99 threshold, which is rather generous for how much you’re getting. Odds are you’ll spend hours trying to figure out a handful of puzzles, and there’s 72 in all to solve. The secret of Sequence is that levels rarely get boring — you’ll soon work through them methodically and figure out your own “aha" moments throughout the experience. Multiple solutions are a thing too. The Sequence is a rather unassuming game overall, but I came away pleasantly surprised. 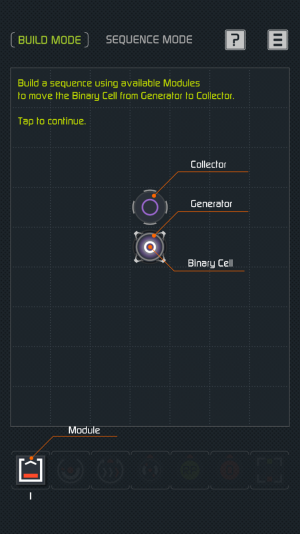 If you’re a fan of SpaceChem or other similar apps, this one is worth checking out.